A newly-formed European consortium is to help advance the development of GlaxoSmithKline’s promising Ebola vaccine. The consortium is backed by around $18 million from the European Commission and expects to receive an additional $1.7 million from the Swiss government. It includes GSK and research partners from the University of Oxford, Centre Hospitalier Universitaire Vaudois in Switzerland, and the Bernhard-Nocht Institute. 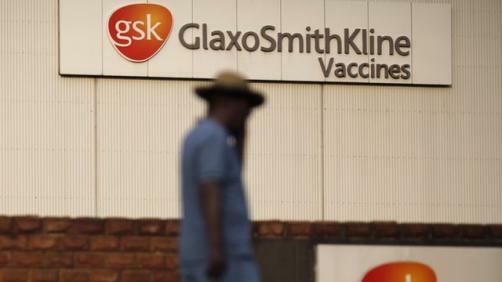 GSK says that the funding is already helping to implement Phase I trials in Switzerland and will enable the UK pharma firm to begin larger Phase II trials in Africa – should initial results be encouraging. “We welcome the generous support from the European Commission and appreciate how quickly they have worked to secure the research grant for our work,” says Dr Moncef Slaoui, chairman of GSK Vaccines. The vaccine was co-developed by the US National Institute of Health (NIH) and Okairos, a biotech company acquired by GSK in 2013. It uses a type of chimpanzee cold virus to deliver a non-infections Ebola virus protein and generate an immune response in patients. “Its future use in mass vaccination campaigns will depend on whether the vaccine candidate provides protection against Ebola without causing significant side-effects and how quickly large enough quantities can be made,” GSK adds. The first reported results from the trials showed that the medicine was well-tolerated and produced an immunological response in patients, but GSK has cautioned that these results are just the ‘first piece in the jigsaw’ and that any vaccine may still come ‘too late’ for the current outbreak. Several other companies are looking into Ebola offerings, including Johnson and Johnson, Takeda and Merck – although Merck’s trials recently hit a snag when patients reported joint pains. Last week the global vaccines alliance Gavi pledged $300 million to buy any WHO-recommended vaccines for affected countries. The current Ebola outbreak has killed over 6,000 people so far, mostly in the West African nations of Guinea, Liberia and Sierra Leone. A few cases have been reported in other regions, including Europe and the US, although these have since been brought under control.